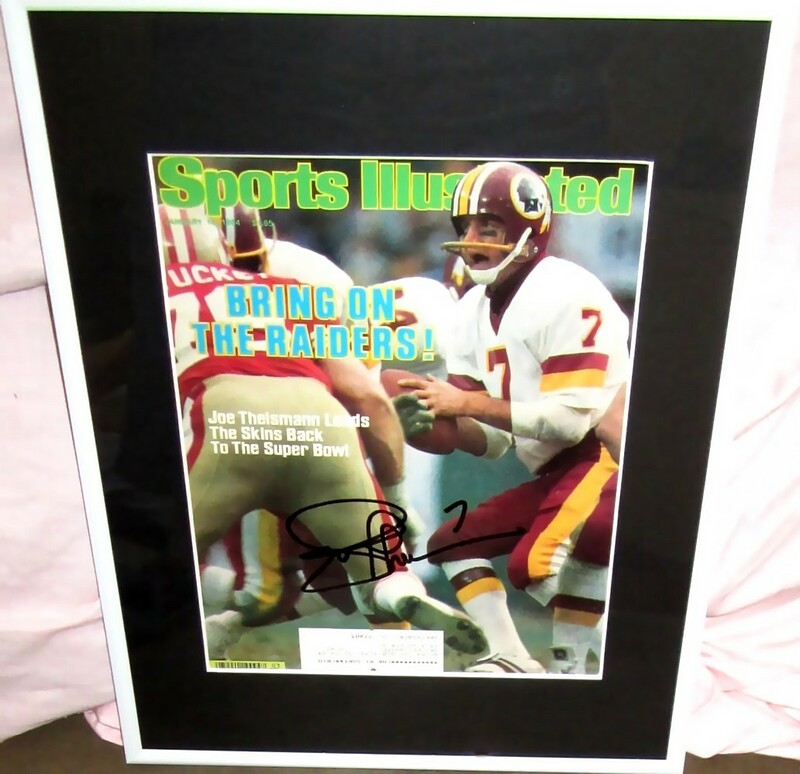 1984 Sports Illustrated magazine cover autographed in black marker by former Washington Redskins superstar quarterback Joe Theismann, matted in black and framed with glass in white, ready to hang. Obtained in person at celebrity golf tournament. With certificate of authenticity from AutographsForSale.com. ONLY ONE AVAILABLE FOR SALE. 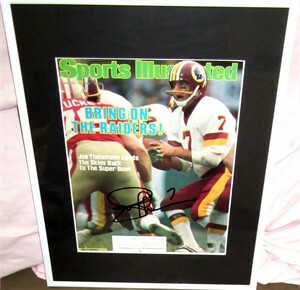 Joe Theismann autographed 1982 Washington Redskins Reebok throwback jersey inscribed Go Skins!